DAILYKENN.com -- The far-left media prefers to refer to Sweden's patriot movement as "the far right" and continually suggests the movement has a Nazi past. In reality many — if not most — Swede patriots are too young to remember the neo-Nazi movement. 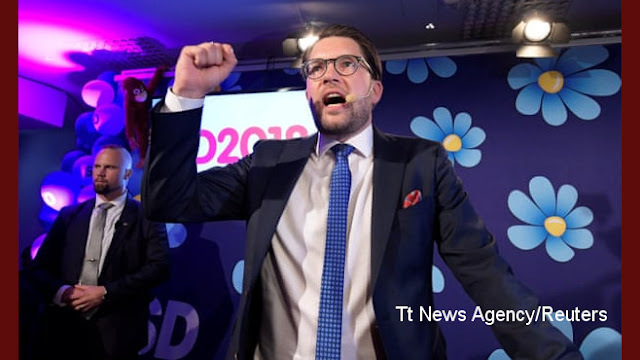 The far left has targeted the patriotic Sweden Democrats party that advanced with 17.6 percent of the vote, place third behind Social Democrats (28.4%), a far-left treasonous party largely responsible for Sweden's Islamic invasion, and Moderates (19.8%). Combined with other patriot parties, Sweden Democrats strong showing effectively divided the government evenly between patriots and treasonous globalists. Sweden's globalist prime minister, Stefan Löfven, further polarized the Nordic nation when he said he refuses to relinquish control of the government in spite of the strong showing of patriots effectively placed the movement on a par with the far left that includes nearly all Islamic invaders who voted and without whom the far-left would likely have soundly lost the election. "They will only increase division and hate," Löfven said of the patriots. 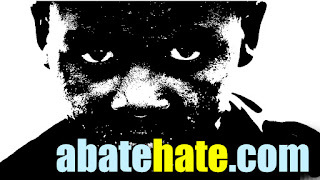 The far left routinely stigmatizes sane patriots as a hate movement to shut down rational conversation.